Where is the Tahoe Basin located and how high is it? The Tahoe Basin straddles the California-Nevada border. 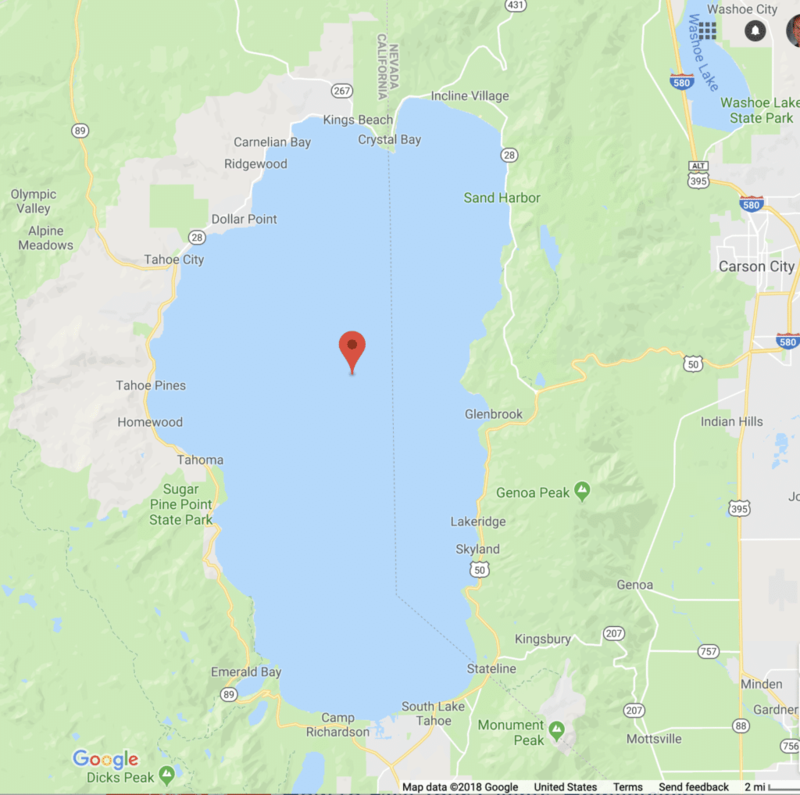 The coordinates of the geographic center of the main body of Lake Tahoe are 39° 06’ 30” N and 120° 01’ 51” W. Lake Tahoe and its watershed spans the montane and subalpine life zones. 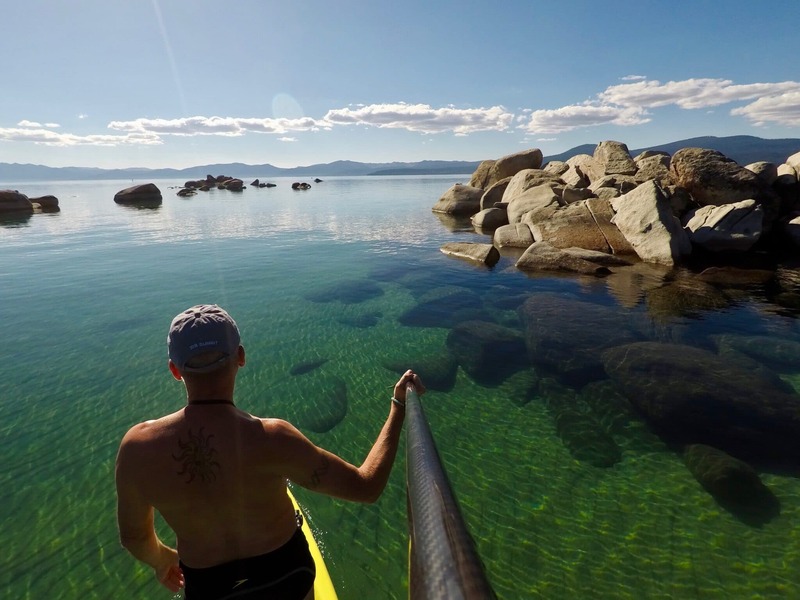 The surface of the Lake is at an elevation of 6,225 feet above historical sea level. The surrounding mountain peaks vary from 9,000 to nearly 11,000 feet.